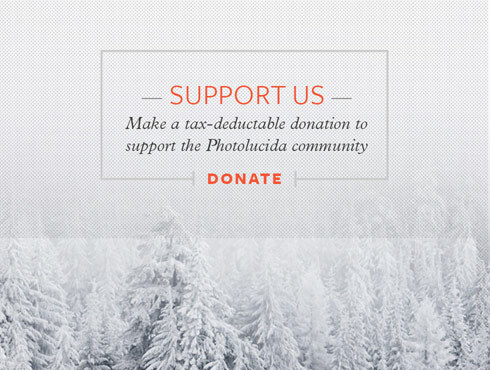 Photolucida | PHOTOLUCIDA IS AN ARTS NONPROFIT BASED IN PORTLAND, OREGON. OUR MISSION IS TO PROVIDE PLATFORMS THAT EXPAND, INSPIRE, EDUCATE & CONNECT THE REGIONAL, NATIONAL & INTERNATIONAL PHOTOGRAPHY COMMUNITY. PHOTOLUCIDA IS AN ARTS NONPROFIT BASED IN PORTLAND, OREGON. OUR MISSION IS TO PROVIDE PLATFORMS THAT EXPAND, INSPIRE, EDUCATE & CONNECT THE REGIONAL, NATIONAL & INTERNATIONAL PHOTOGRAPHY COMMUNITY. Critical Mass 2018 Solo Show award recipient NOAH ADDIS is at Blue Sky Gallery in April! Opening & artist talk is Thursday, April 4th. Portland Photo Month is here! Check out all the photo-related exhibitions and events happening in April. Meet the photographers attending Photolucida 2019 in the Participant Index! 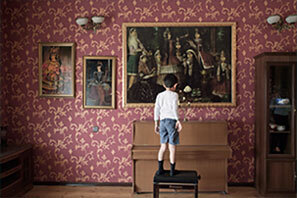 And check out their work in person at the Portfolio Walk (April 25)! Over the years, Photolucida has offered book awards as part of our Critical Mass programming. Photolucida publishes and distributes these titles, and gives copies of the books to all participating photographers and jurors. Past titles have been collaborative efforts with publishers such as Daylight Books and Kehrer Verlag. Check out our library of current publications as well as our backlist!